With all of my posts about college and Greek life, it’s easy to forget the process of getting there. 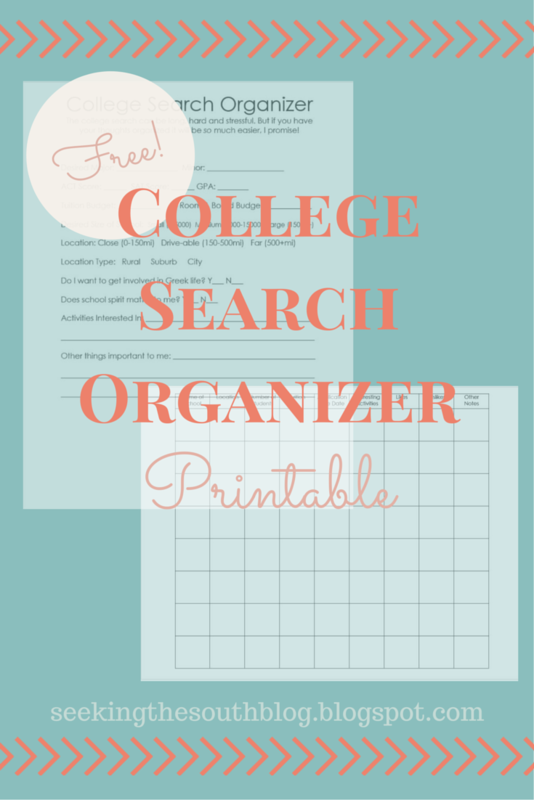 The college search process is a very stressful, time-consuming and complication process that can be a breeze for some, and a major migraine for others. To the best of my ability I’ve tried to compile some resources to help ease the complication of searching for the next step in education. It’s typical for high schoolers to begin this process either their junior or senior year. I’d suggest junior year so you’re not rushed for tours, applications, letters of recommendations, etc. It eases many of the stresses by having a longer timeline. The first step of the entire search is knowing what you want. However, all-so-conveniently this is often the most complicated part. Your wants & needs include, but are not limited to, your major/minor, the ability to get in, tuition budget, size of school, location, activities, Greek life, school spirit, and activities. As a junior in high school, you may not know any of these yet, and that’s okay! The college search process is for you to get acquainted with your likes and dislikes. To make these decisions straight, download my organizer below! Once you’ve got all of this figured out, the rest of the process will seem like a breeze (until you actually have to make a decision, of course). Knowing what you want will make it easy to choose the schools you’re interested in, then narrow it down to the schools you want to visit, then finally your top contenders. I sure wish I had something like this when I was choosing my school. I know how difficult the process can be, but it’s definitely worth it when you love your school as much as I love mine. I’m hoping to come up with more posts for my high school readers, but in the mean time, if you have any questions you’re always welcome to email me at seekingthesouthblog@gmail.com. Next Post Help! What Clothes Do I Bring to College?